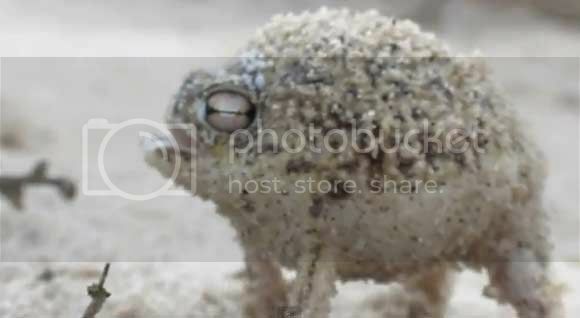 The Namaqua Rain Frog is probably the most cutest amphibian on the planet or just some elaborate scheme that wants us to believe a squeaky toy is indeed alive. I'm not even sure how big it is but for some reason I want one as a pet. Until I get tired of all the noise it makes then I'd probably put it under my neighbors bed and keep 'em up all night long. Just go ahead and check the video of the little critter after the break.